Hey dear thanks for registering on FEW! Would you like to start your own business or grow your existing business? Then, you have come to the right place! It’s an unfortunate fact, but 90% of startups fail. Of course, we do not want that for you, we want to help you and we can share advice to help you succeed in running your business. As part of this, the FEW team offers you a free 30-minute consultation call to help answer any questions you may have on starting or running a business. 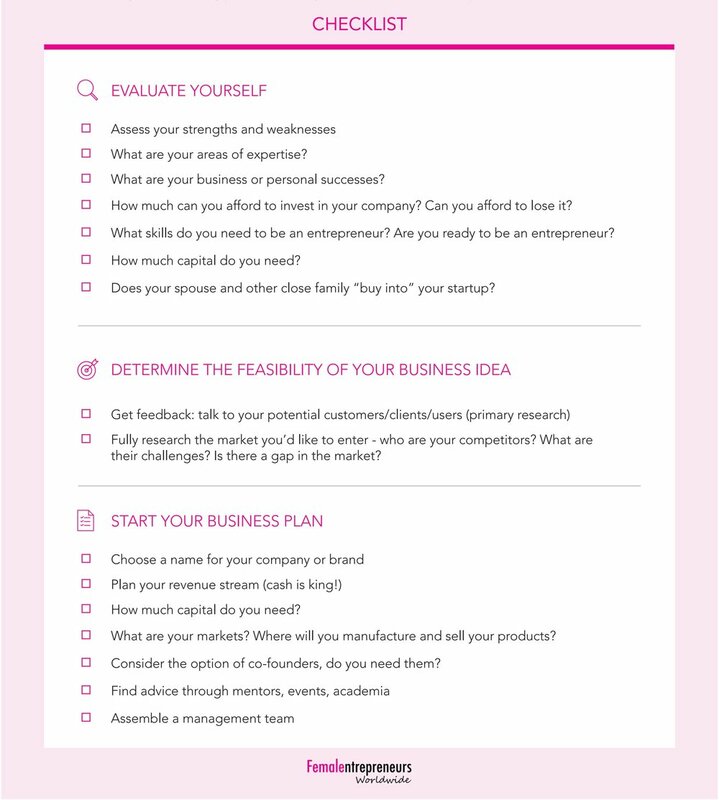 However, the checklist below is designed as a guide to make sure you are asking yourself the right questions. We hope you find it useful!